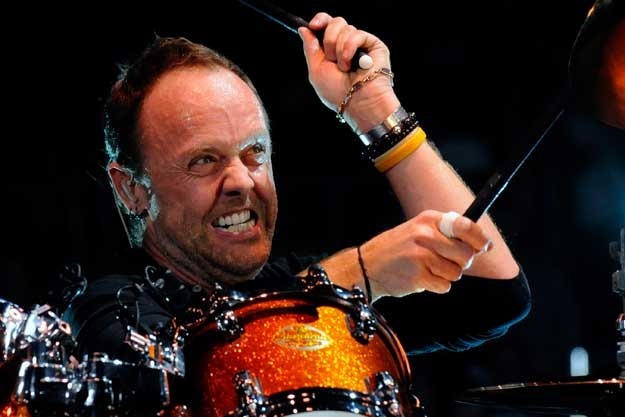 Metallica's outspoken drummer's show on Beats 1 called "It's Electric!" will be "unfiltered, unscripted and completely all over the place" with a launch on May 7 at 3 p.m. Pacific Time with guest Iggy Pop. "We go all over the world - we look at international bands for an international audience," Ulrich said in an interview with Zane Lowe to promote the show. "I'm gonna play you lots of really cool music by mostly bands you don't know; a lot of bands I've just been introduced to. We don't believe in boundaries, and we're open to everything. I have some guests call in on the phone, and they promise me I'm gonna have this show every week." Iggy Pop was recruited by Ulrich after a live show in Mexico City where Pop performed with Metallica on stage. "He joined us onstage for a sensational run through of the Stooges classic 'TV Eye,' and I asked him if he'd be the first guest on It's Electric!" said Ulrich. "He called in and we talk about our shenanigans in Mexico City, the new relationship and the rest of it, so he's the very first guest. How cool is that?" "I've got so much stuff to share with everybody out there and a lot of stuff that's turning me on. I'm telling you, people that love great music, rock music but also hip-hop and world music, and all the rest of it," said Ulrich. "There's a lot of people that talk about, 'Well the music business is in sad shape, and it's dying,' but there's a ton of fantastic music out there, and I'm reenergized and reinvigorated and ready to share it with the world." Ulrich testified before the Senate Judiciary Committee in 2000 after he found the entire Metallica discography, including an unfinished track from the band on Napster. Later, Ulrich commented that he and the band had a "gross underestimation" of file sharing, and how it would influence the music industry.